Mother Annie Siviline Stovall Troupe was born on October 19, 1917 in Limestone County, to the late James West and Elizabeth Stovall. She departed this life on Tuesday, June 12, 2018 at Athens Limestone Hospital. 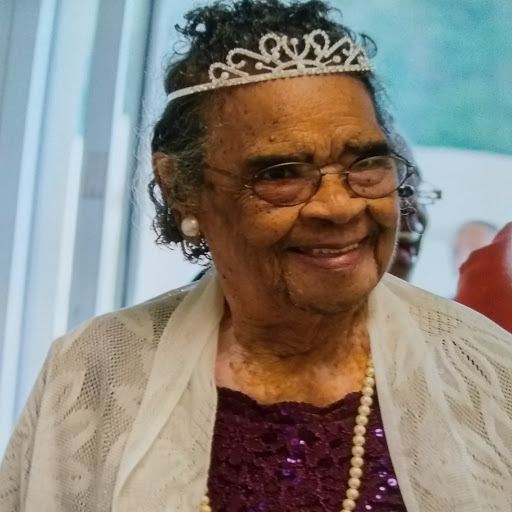 She confessed hope in Christ at an early age and united with New Hopewell Missionary Baptist Church, where she remained faithful until her death. She was a member of the New Hopewell Senior Choir for many years, and was currently on the Mother's Board. She loved her church family, and looked forward to being with them whenever the opportunity presented itself. On January 13, 1936, she joined in Holy Matrimony to the late Ben Troupe, Sr. and to this union 11 children were born. 3 sons preceded her in death: L. C. Troupe, Herman Lee Troupe and Alphonso Troupe, as well as 3 brothers and 7 sisters preceded her in death. Mother Annie Troupe was blessed to celebrate her 100th birthday and lived to see 5 generations during her lifetime. She leaves to cherish her memories: Pearline Robinson, Annie Odell (Grady) Thornton all of Dayton, Ohio. Ben Frank (Ada) Troupe of Athens, Alabama, Shirley Ann Stringer of Dayton, Ohio, Jimmie Lee (Johnnie) Troupe, Berthold (Shirley) Troupe of Athens, Alabama, Agnes Diann Troupe of Ayton, Ohio and Sandra Renee Campbell of Athens, Alabama. 2 Daughter-In-Laws: Betty Troupe and Felicia Troupe of Huntsville, Alabama. 28 Grandchildren. 46 Great-Grandchildren. 35 Great-Great-Grandchildren. A host of nieces, nephews other relatives and friends. The family of Mother Annie Stovall-Troupe acknowledges with sincere gratitude, the many expressions of sympathy during the passing of our loved one.. Under the directing of Sharpley Funeral Home. Funeral will be held Saturday, June 16, 2018 at 12:00pm at New Hopewell Missionary Baptist Church(located at 11479 Dogwood Flat Rd. Tanner, Alabama 35671). Pastor, Larry Lockett, Sr., Officiating. Burial in Oakland Cemetery in Athens. The body will be in church 1 hr. before the services.